The Palliser Lodge at Kicking Horse Mountain Ski Resort outside Golden, B.C. 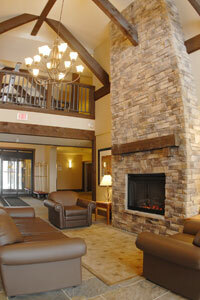 offers guests full service ski-in/ski-out luxury ski accommodations in an unparalleled mountain setting. Opened in 2006, the Palliser Lodge is well situated in one of the area's premier locations, boasting spectacular views of the Rocky Mountains and ski slope activities. The Lodge, just walking distance to the Kicking Horse ski village ensures quiet enjoyment while maintaining the convenience of ski-in, ski-out access to the Kicking Horse Mountain. Each of the 48 well appointed apartment style guest suites have been designed for the optimum in guest comfort and convenience. From the comfortable studios to the spacious 1- and 2-bedroom suites with an optional adjoining guest room, combined units can accommodate up to a maximum of 10 persons. 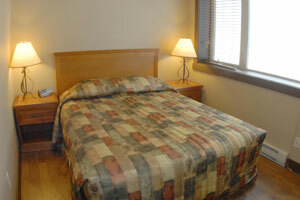 All Suites have full kitchens including dishwasher, refrigerator, oven/stove, microwave and cooking utensils. 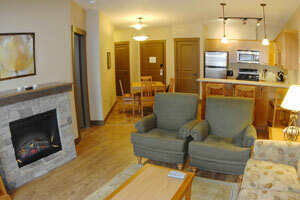 In addition every unit has a fireplace, flat screen television, and balcony. Penthouse Suites are located on the 4th floor. The end units on every floor have individual private outdoor hot tubs on the balcony. 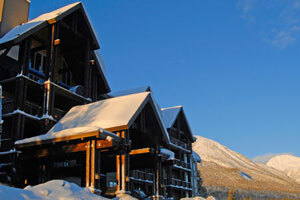 Contact us to make the Kicking Horse Palliser Lodge part of your Kicking Horse ski holiday.